Blogs written by HeartRails engineers. We will distribute technical information related to web services and smartphone application development. 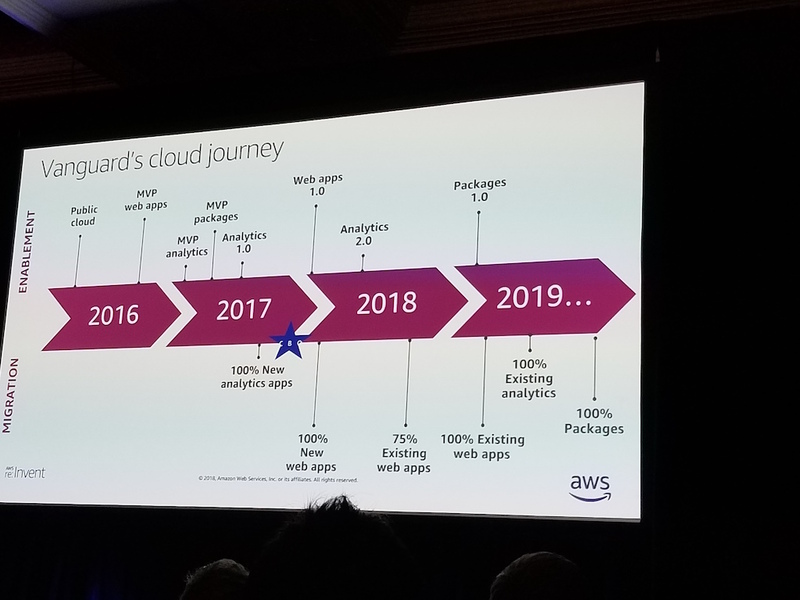 I'm in Las Vegas for worldwide conference AWS re:Invent 2018. I'll share some knowledges, practices and information in following blogs over several days. Today, I report one of DAY 1 sessions I took part in. 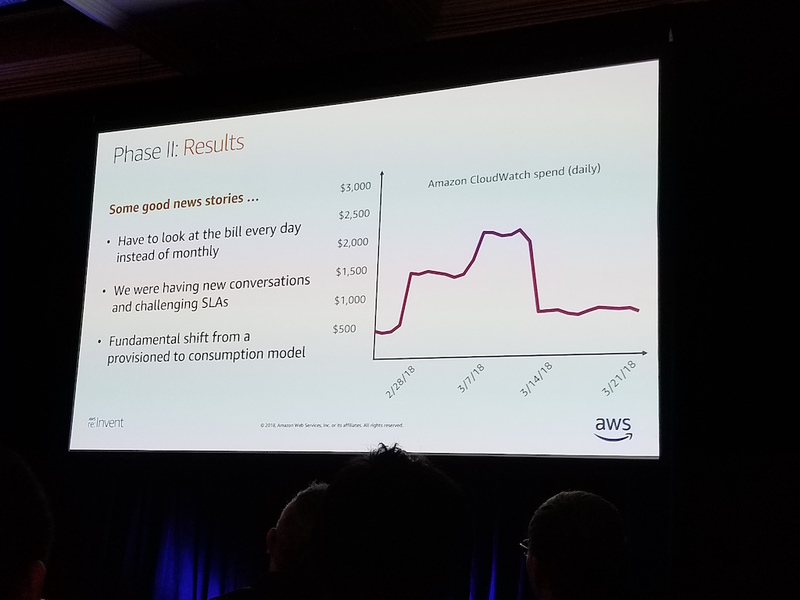 This session talked about how we can reduce costs on AWS. 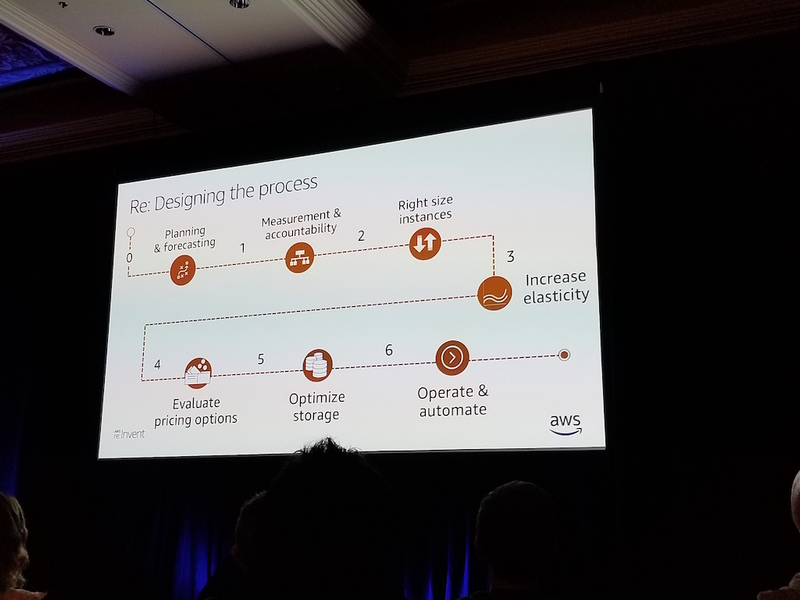 Beforehand, I bet it would describe a simple way such as changing from On-demand instances to Reserved instances. However, my expectation was betrayed in a good way. 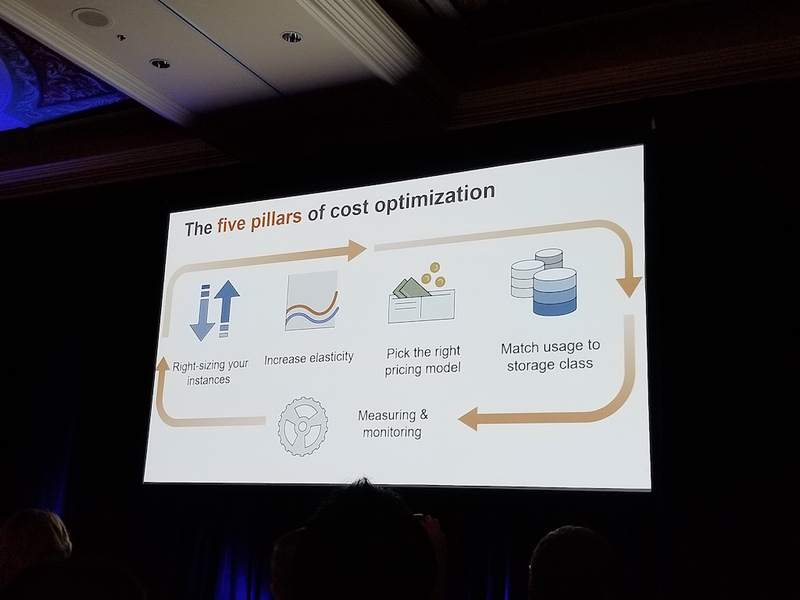 The presentators described that there were The five pillars of cost optimization and how design them. Moreover, they shared practical case which is about Vanguard's improving costs. Vanguard is a big company which has a lot of branches all over the world, so I could not believe it immediately to change direction of policy. I wondered how difficult it was. 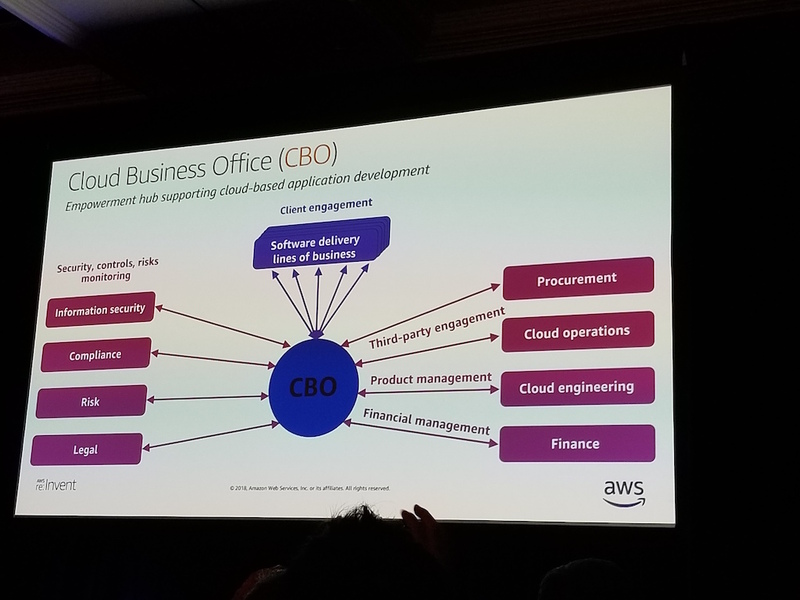 They established CBO (Cloud Business Office) which is responsible for adaption of methods and reduction of costs. 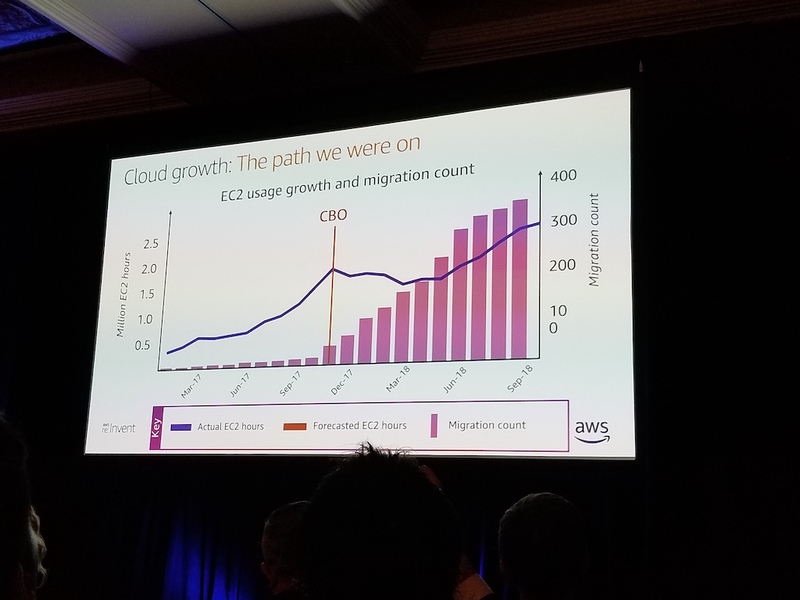 As you can see, EC2 hours's growth was stopped after CBO was established, as anyone would realize it. Surprisingly, their main approach to succeed was very simple, they changed analysis frequency from monthly to daily. It seems a message to face with costs deeply than before and they have reduced costs in fact. 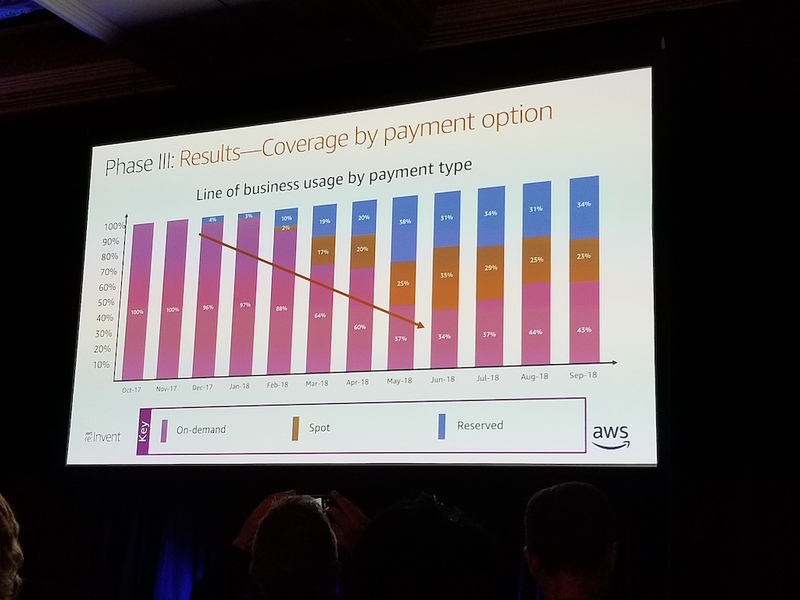 They save total costs by increasing ratio of RI/Spot instances. I believe the important point of this tail is using Spot instances. As you know, we can not replace all On-demand instances with Spot instances, but there are several cases better to being replaced. In many cases, the reason why they are still On-demand is we can not take enough time to examine it or just escaping from it. For those people including me, this is a letter to think of it deeper again whether we can introduce Spot instances into some functions already in the field. Please bookmark, retweet, or share this article if you like it. We’re a software design and development consultancy that builds custom web and mobile applications. For more detail, please refer to our Official Website .